Governments all around the world hate encryption. Unless they are being incredibly cunning by pretending they can’t break strong encryption when they can, this seems to be because crypto really does keep messages and data safe from prying governmental eyes. Banning strong encryption is clearly a non-starter – even the most clueless politician knows by now that e-commerce would collapse without it. As a result, the favorite approach has been the backdoor – that magical weakness that somehow is only available to those operating lawfully, and not criminals or hostile governments. That’s despite the fact that every top security expert has explained that it is simply not possible to add backdoors to encryption while retaining the protection it is meant to offer. Those “recent publications” include one this blog has mentioned previously: “Encryption Workarounds“, by Bruce Schneier and Orin Kerr. As they point out, even with the strongest encryption in place, there are several alternatives methods for obtaining the information in question. 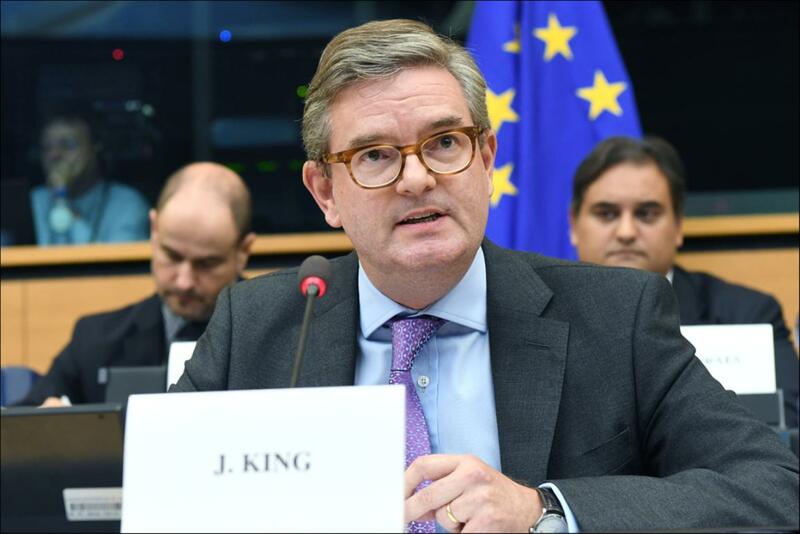 Assuming the European Commission really has understood that fact, it represents a major advance over the “sterile debate” that King mentioned. Another recent EU document seems to confirm the approach. It says: “there is a need for familiarity with the present state of the art in encryption technology and to study weaknesses in algorithms and implementations, including in order to take advantage of possible errors”. Although the latest announcements by the EU are welcome, it doesn’t mean the backdooring crypto movement is dead in Europe. Some national governments – notably the UK authorities, which have consistently been some of the worst offenders when it comes to unbridled and illegal surveillance – are still keen to gain easy access to end-to-end encrypted messages. However, on the same day as Julian King’s speech signalling that the European Commission would no longer by pushing for backdoors, further support for dropping the idea came from a different part of the EU’s political machine. It was widely feared that protection against backdoors would be dropped in the committee’s vote, but instead it was passed. However, that is not the end of the story. A full vote of the European Parliament could change the text, by removing or watering down sections. Even if that doesn’t happen, before it can become law other parts of the EU’s legislative machinery will still need to accept the text as agreed by the European Parliament. That means that there are opportunities for good ideas to be dropped, and bad ideas to be slipped in. That said, taken together the two events – new security measures from the Commission and the LIBE committee vote – show that things are finally moving on the backdoor issue. They indicate that even hardened opponents of end-to-end encryption are coming around to the idea that breaking security is not the way to go, and that it is possible for law enforcement to apply other tools and methods in order to obtain the information they need to keep the public safe. Assuming that shift is maintained, the hope has to be that other jurisdictions – notably the US – will take note and follow suit in due course. Featured image by European Union.